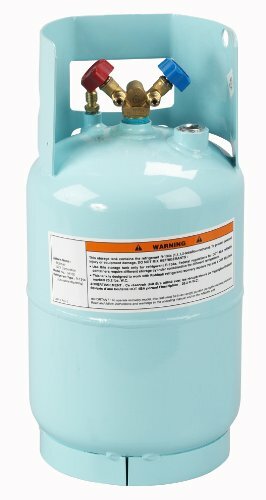 RR34102 Features: -Replacement or additional R-134A refrigerant strorage tank. -This tank is approved and certified. -30 lb. A/C Tank for R-134A. Product Type: -Containers. Use: -Coolant. Quanitity: -Single. Dimensions: Overall Height – Top to Bottom: -9.4 Inches. Overall Width – Side to Side: -9.5 Inches. Overall Depth – Front to Back: -19.1 Inches. Overall Product Weight: -16.1 Pounds.